This too. All line, all the time. Should be noted that Cowart is not an EDGE at 305lbs. How about over 1,000lbs of man in a 3/4 defensive line? 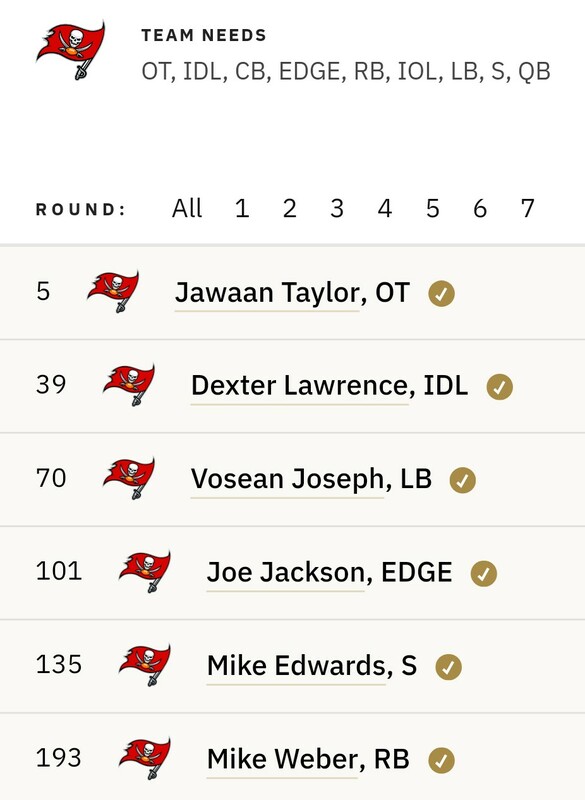 Was thinking it could be possible but if we get Lawrence in the 2nd round what a steal. 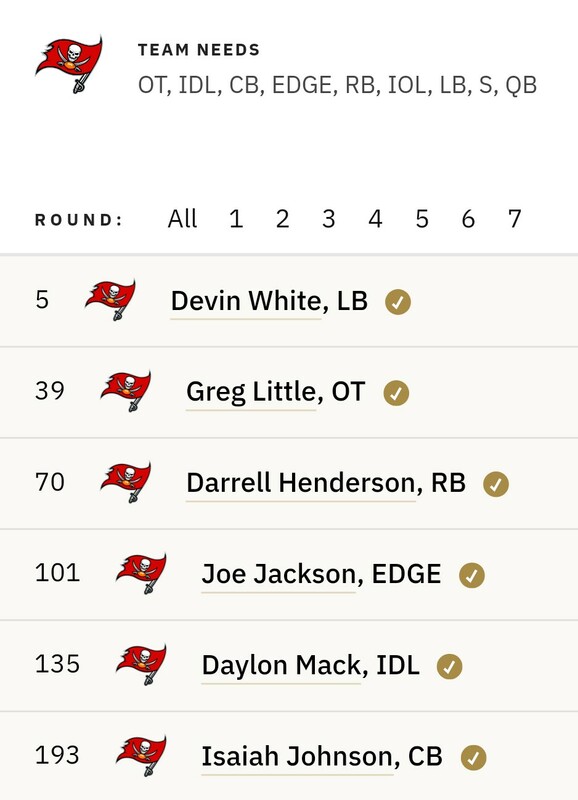 Trade back at 5 and nab OL or Devin White and then get Lawrence and an OG. Would be sick. 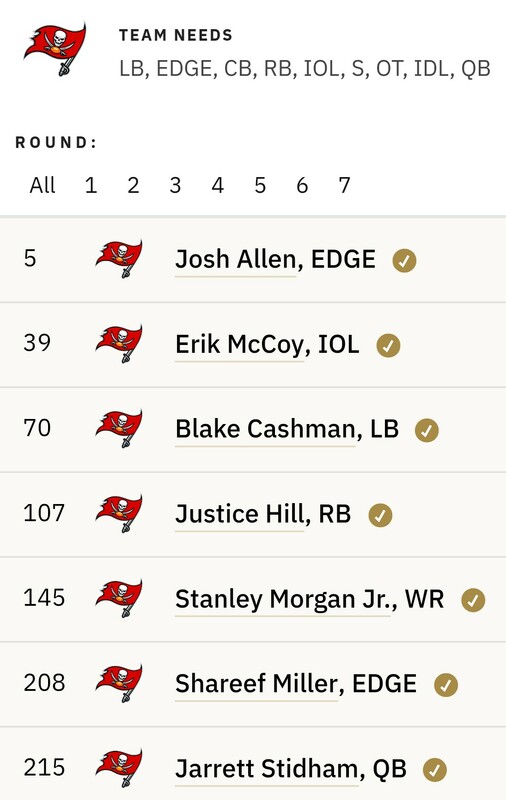 I tried all 32 picks, with the assumption Washington traded 15 for Rosen. Even without that, Burns fits Washington too. I still think someone trades to three for Haskins. I think we can pencil in Kyler at 1 and Metcalf at 4 with every round 1 mock now. And a Jets trade at three. That's the first "affordable" pick. The 9ers can't pass on Bosa. 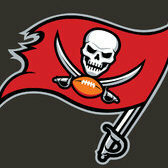 I'll be the GM for a long weekend if Licht wants some time off. I just wonder how many ILBs Bowles is going to be active on Sundays. I m assuming the Money Backer spot takes the place of the MLB, leaving the stack ILB on the field all 3 downs. I m kind of envisioning 3 ILBs and 4 maybe 5 safeties active on game day. 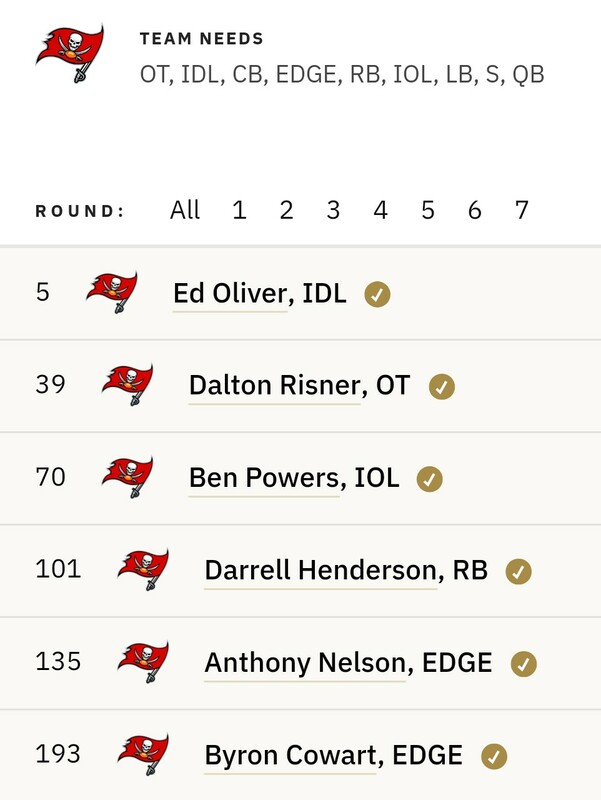 I could be way off base, but I believe the more valued ILB position is the stack not the mike. Basically carry 4 ILBs on the 53, but dress only 3. 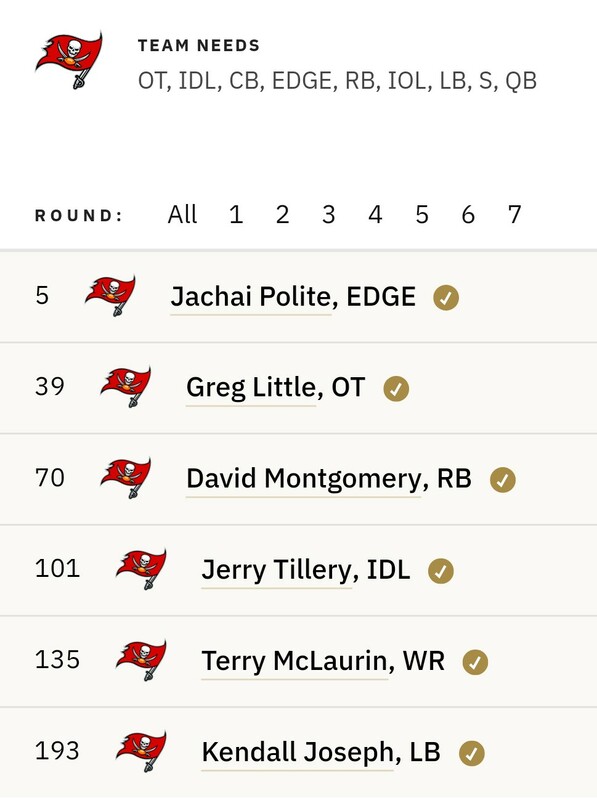 I would have to figure the 4th ILB would be a Cichy type day 3 prospect. To sum it all up, if they draft an ILB early, this is probably David s last yr. Can McCoy play stack ILB, I dont know much about him? Cashman is the LB. And dude has elite athleticism; 4.5 40, 38" vert, 6.95 three cone 👀. His knock is that he's 6'1" 235lbs. But he's good in coverage and sifting through the chaos of the front seven. He's not gonna take on guards/tackles head on and win. But he's got the wiggle to get around them and his movement in space looks like a db. In the third round, I wouldn't hesitate to take him.